Gary Neville doesn’t believe Manchester United should sack Jose Mourinho despite a dreadful start to the season. Mourinho set the tone during pre-season with his downbeat attitude when speaking to the British media on tour in the United States. The Manchester United manager was unhappy with the Red Devils failure to strengthen their centre-half options and add further options on the right wing. The Red Devils were 2-1 winners against Leicester City at Old Trafford in their season opener in a solid performance. However, Brighton and Hove Albion were good value for their 3-2 win over Manchester United at Amex Stadium earlier this month. Manchester United succumbed to back to back defeats following a humiliating 3-0 loss to title rivals Tottenham Hotspur at Old Trafford on Monday night. Mourinho’s position is reported to be under threat amid speculation linking France and Real Madrid legend Zinedine Zidane with the role. 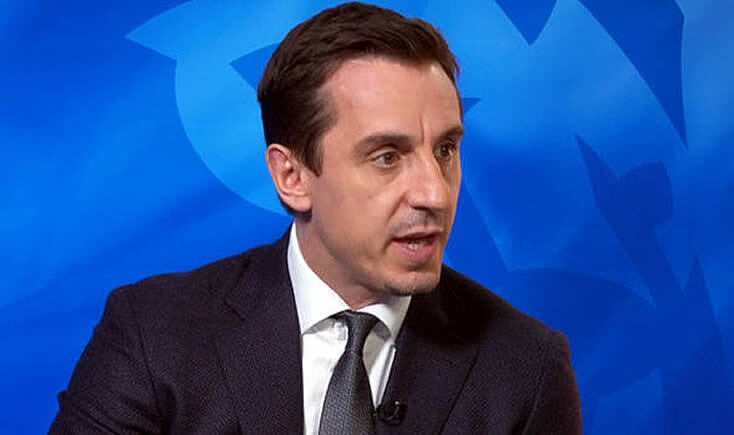 Former Manchester United defender Neville reiterated that the Red Devils would be wrong to sack Mourinho. “He should see that contract through to the end and do the job. “You cannot keep jumping around with managers, you can’t keep doing it. Manchester United signed Shakhtar Donetsk midfielder Fred, FC Porto defender Diogo Dalot and Stoke City goalkeeper Lee Grant in the summer transfer window. The Red Devils haven’t won the Premier League since 2013 when Sir Alex Ferguson was still in charge.